NAVAL, Biliran – The almost month-old police chief in Biliran province this early, is planning to implement a more systematic way to stop illegal fishing activity in Biliran province. In an interview during the Kapihan forum, P/Supt. Carlito De Guzman Gallardo, the former acting chief of police of Baybay City before his assumption as office-in-charge (OIC) on September 14 of the Biliran Police Provincial Office (BPPO, planned to integrate the apprehension of illegal fishing activity in Biliran province. He explained that under the planned integration of apprehension of illegal fishing activity, there is a collaboration and cooperation of the apprehending authorities from the provincial and municipal offices of the Philippine National Police (PNP), Department of Agriculture, Bureau of Fisheries and Aquatic Resources and other concerned maritime agencies that will be involved in the apprehension. He added that in the pursuit of fishing boats doing illegal fishing activities in the province, the local government unit (LGU) where the apprehension was actually conducted will be given the authority to exact the corresponding fines and penalties based on existing local ordinance on illegal fishing. “Like for example there is a hot pursuit of a fishing boat doing illegal fishing in Maripipi town and it was apprehended in Culaba or in any of the towns in Biliran province including the neighboring coastal towns in Leyte province like Carigara, Capoocan or Calubian can impose the corresponding fines and penalties based on the existing local ordinance of said towns where the apprehension took place. He mulls of executing a memorandum of agreement (MOA) in the integration of apprehension of illegal fishing between the eight towns in Biliran province including the identified coastal towns in Leyte province that will be involved. 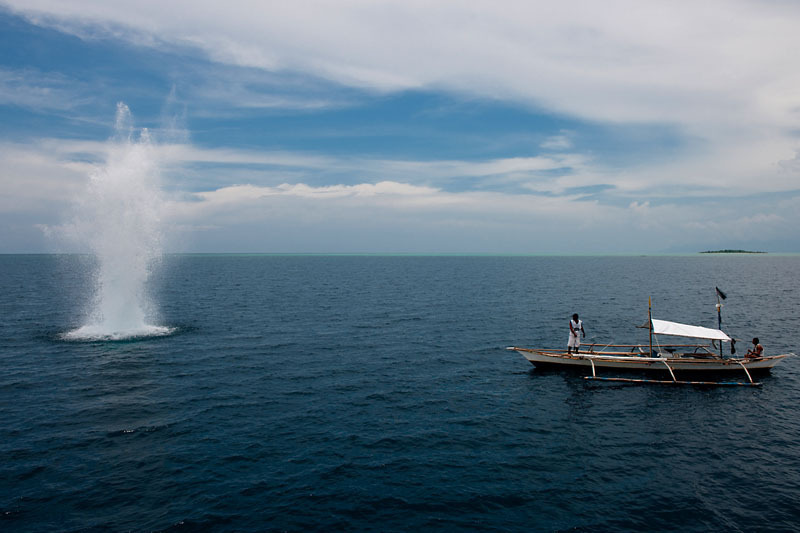 Part of his plan is to conduct regular sea patrol within the fishing area in Biliran province. He said, initial talk with Congressman Rogelio J. Espina of the lone district of Biliran has already been made regarding this problem affecting the Biliran seas.